The show went on Sunday at the Canadian figure skating championships at Saint John's Harbour Station while a powerful storm raged outside. The show went on at the Canadian figure skating championships at Saint John's Harbour Station on Sunday while a powerful winter storm raged outside. It had to. The skaters couldn't go anywhere else. An estimated 100 Skate Canada skaters and officials are stranded in Saint John after nearly every flight in and out of the city was cancelled Sunday. Cynthia Benson, co-chair of the event's organizing committee, said a lucky few made other arrangements, but it could be another two days before some others are able to catch a flight. "Some ended up driving last night, some ended up flying to Montreal this morning and taking trains to Ottawa, but we have quite a few here who won't be getting out until Tuesday," Benson said. An exhibition gala proceeded as scheduled on Sunday, the final day of the week-long event, thanks in part to many of the skaters remaining in the city, Benson said. Environment Canada has issued a winter storm warning for the whole province, with rainfall warnings in effect for Saint John and County, Fundy National Park, Grand Manan and coastal Charlotte County. 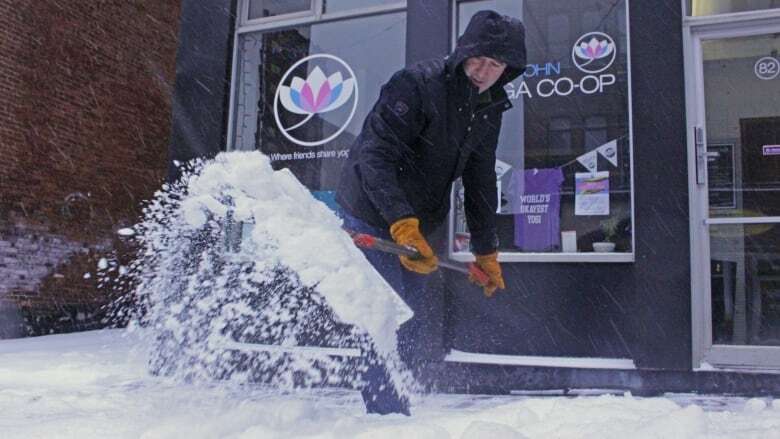 After a steady morning snowfall, the weather in Saint John switched to freezing rain and ice pellets — something Oliver Kerr described as the "worst weather I've ever seen." 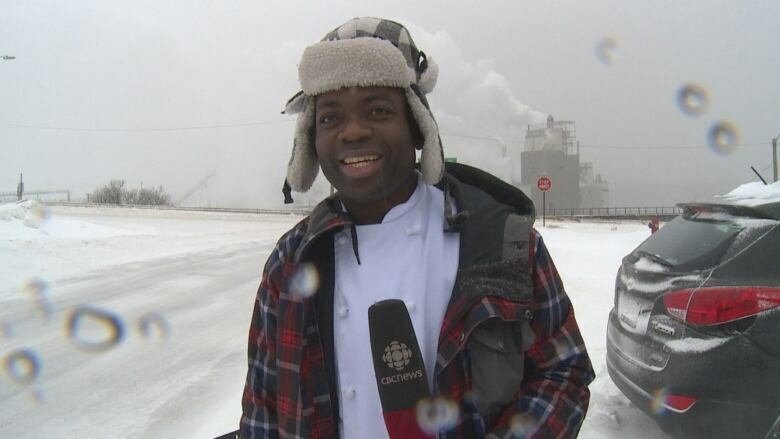 "It's not my first [winter], but it's my first one like this," said the Jamaican man and chef at the Reversing Falls Restaurant. "It's beautiful, but, at the same, I wish I was in Jamaica on the beach." 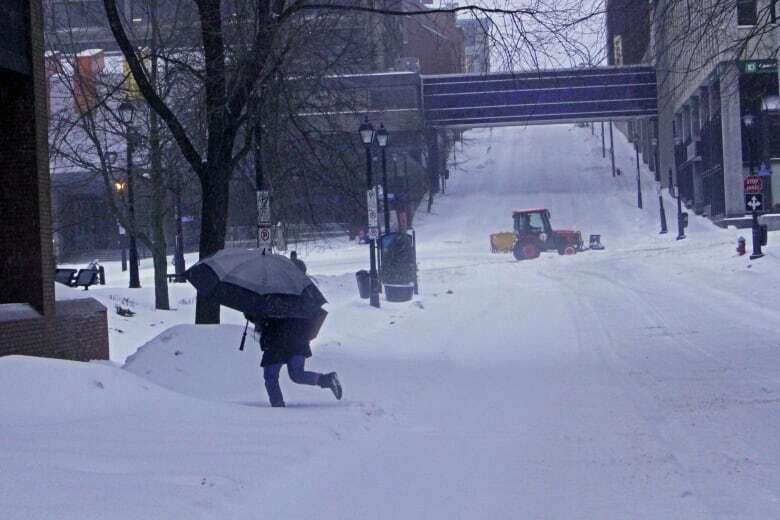 Saint John Transit took buses off the road at 2 p.m., and the city is advising against travelling. All major highways out of the city are covered, according to the provincial government. Road conditions have deteriorated. Consider postponing non-essential travel until conditions improve. The city said Sunday evening there are reports of localized flooding. Foster Thurston Drive has been closed between Ashburn Road to Sandy Point Road. 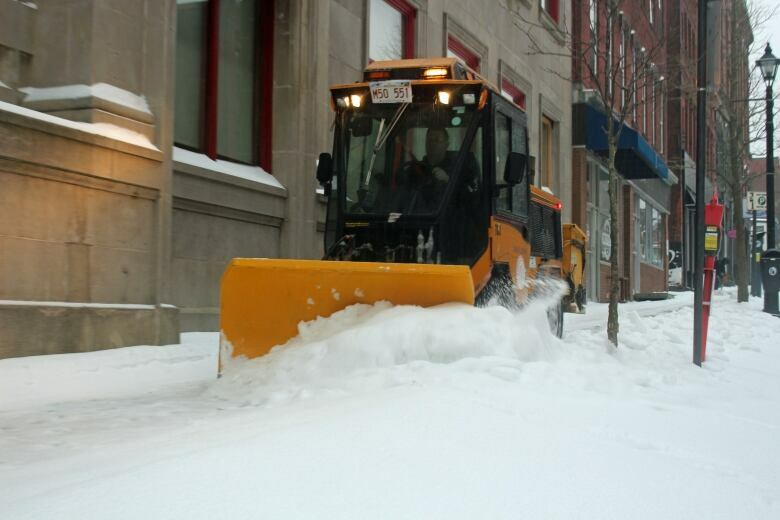 Saint John announced an overnight ban for on-street parking in the north, east and west areas of the city to help the snow-removal effort. The ban runs from midnight until 7 a.m. Monday. The city's electric utility says all of its crews and personnel are ready to handle any power outages. 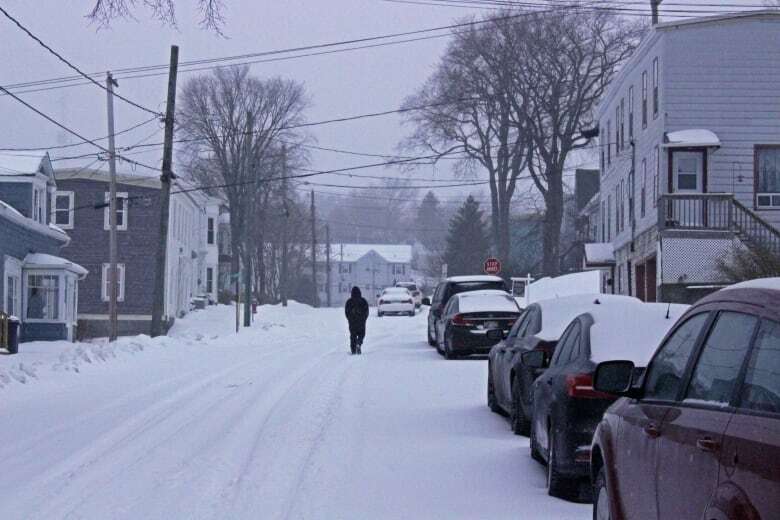 Saint John spokesperson Jessica DeLong said the mix of snow, ice pellets and freezing rain increases the possibility of outages, though no outages have reported as of 5 p.m.